Generika Drugstore was first established in September 2003 to address the need for quality and affordable medicines, and promote the use of generic drugs as an answer to the high prices of medicines in the country. As of February 2013, Generika has a total of 360 stores nationwide of which 25 are company-owned stores and the rest are franchise stores. The rapid expansion of Generika Drugstore has paved the way for quality and affordable generic medicines made accessible to everyone. 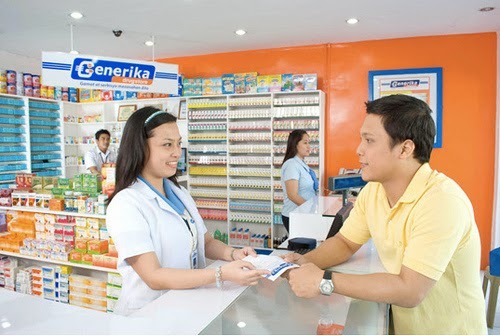 Since the first Generika Drugstore opened in May 2004, Generika has emerged as the most consistently service-oriented and customer-friendly chain, not just among drugstores that sell generic medications; but among all drugstores in the country. It is very human to prioritize immediate needs because for most, medicine is not a priority until something happens that would require it. That’s why it is not uncommon to hear of OFWs who send large amounts of hard earned money home, only to have family contact them soon after with a health crisis that requires more money. Filipinos normally have the the mindset that medicine is very expensive. This is true even of maintenance medications and antibiotics. 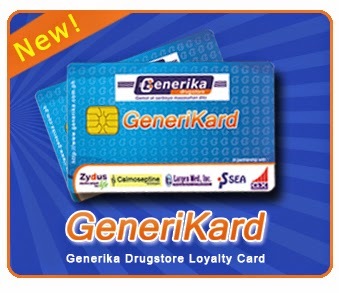 Generika has over the years consistently provided great services more than simply selling affordable medicines. Generika drugstores regularly offer extremely affordable medical tests that cost a fraction of what they would cost even at government hospitals. With those tests they also offer free on site consultation. Generika is always trying to make life better for its customers. 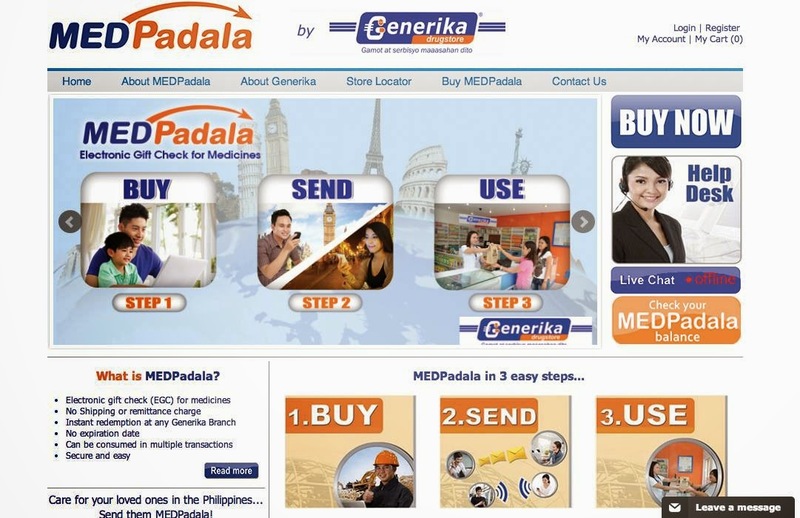 Generika thought of better serving its customers with its latest innovation, the MedPadala. Care extends even to Filipinos abroad. Since we have a lot of relatives not only in the far-flung provinces in the Philippines, but also in other countries as well. Being geographically separated is not a problem now for Generika customers. Through MedPadala, OFWs and bread winners in the urban areas can now allot a portion of the money they send home specifically for medicine, without having to worry that it will be used for other things. MedPadala is a unique electronic gift check that can be used only at Generika Drugstores. The gift certificate is purchased online or at Generika outlets. A PIN code and password are sent to the customer via SMS and email. The customer can then send these codes to their loved ones who can then use them to buy meds or medical supplies at any Generika outlet. MedPadala gift certificates were conceived with all of these factors in mind. Unlike most conventional gift certificates, MedPadala e-GCs have no expiration date. What’s more, they don’t need to be used in a single transaction, and can be consumed as needed over several visits. The PIN and password can be passed around to multiple users and for as long as balance remains on the PIN, they can continue to use it to make purchases. As long as the buyer of MedPadala EGC has registered online, he can track the usage of his beneficiary of the EGC. He can see when the GC was used, how much was used, how much remains and at which outlet. When you send a MedPadala e-GC, you have a great deal of assurance that it will be spent as it should be, when it is most needed. Because it can only be spent on medicines and medical supplies, people are more likely to buy meds as prescribed by doctors rather than as they feel is needed. MedPadala is further proof that Generika listens attentively and responds wholeheartedly to the needs of Filipinos everywhere. Generika has just launched its loyalty card called GeneriKard, which aims to provide special perks and privileges to its cardholders. Generika has continued to innovate further in collaboration with other companies and institutions. Generika became a partner establishment of BPI Globe BanKO Inc., which is a mobile banking service targeting the low income segment. This service allows individuals to open a personal savings account at accredited Generika outlets, as well as perform cash-in and cash-out transactions. Generika is the first drugstore in the country to load prepaid mobile phones via Point-of-Sale (POS) technology when it started offering i-Load – a proprietary mobile reloading service in partnership with the country’s three major telecommunications network: SMART, GLOBE and SUN. Generika has already expanded its business in the Visayas and Mindanao regions in 2011 to strengthen its presence by putting up more branches even in small towns and barangays. Franchising will be the main engine of growth for Generika in the years ahead to serve more communities throughout the country. Generika Drugstore branches are air-conditioned to maintain the efficacy and potency of medicines, and to serve the customers in a more convenient and comfortable environment. The company's tagline ‘Gamot at serbisyo maasahan dito’ proves that providing quality products and services gives the company’s long term success with customers. When people began to patronize Generika, more company stores were built. As any upstart business, the management of Generika had to learn the ropes of retail drugstore business, including how to deal with customers, suppliers, government agencies and lessors. With 16 company owned stores, the company felt prepared to expand the business more aggressively. Thus in 2008, Generika took the next big step of franchising the Generika Drugstore business model. In May of that year marked the opening of the first Generika franchise store in Cubao. From a deliberately slow start, the pace of expansion has quickened as the company gained experience and confidence. 2009 BFAD (Bureau of Food & Drugs) Quality Seal Award for five Generika Drugstore branches. (Generika Soledad branch emerged as the over-all winner besting other well-established drugstores). 2011 Most Promising Filipino Franchise awarded by the Philippine Franchise Association (PFA) and the Department of Trade and Industry (DTI). When Mr. Teodoro Ferrer was approaching retirement after working for more than 30 years with the Ayala Group of Companies, he was planning to venture into the real estate business taking advantage of his exposure in Ayala. However, his decision took a sudden turn when Mr. Julien Bello, his close associate in a foundation for microfinance, brought up the sad plight of many Filipinos who cannot afford to complete their medication due to the prohibitive cost of branded medicines. Fired up by the missionary vision to take concrete step that would address the dismal situation, Mr Ferrer and Mr. Bello formed Erikagen, Inc., the company that gave birth to Generika Drugstore. The company’s first office was in a small 2-bedroom apartment in Goodwill Village, Parañaque City. Progress was slow as none of the stockholders had medical background, nor were familiar with the local drug industry and the retail business. Gradually, the company built the organization by hiring pharmacists and other key employees; contacted drug wholesalers and suppliers; formulated internal company policies and procedures; opened bank accounts and made first purchases of medicines and related products. A major milestone came in May 2004 when the first Generika Drugstore outlet was opened in Montillano, Muntinlupa. Finally, the company started selling medicines to real customers. In 2006, the company put together its corporate vision, mission and core values. These statements of objectives and guiding principles comprise the roadmap and compass for Generika in the years ahead. Their vision is to be the leading national chain of drugstores offering quality and affordable generic medicines with superior customer service, complemented by a strong sense of social purpose. From the beginning, the company emphasized quality generic medicines to overcome the prevailing perception of many Filipinos that generic medicines were substandard. The company also formed the Corporate Pharmacy Department with the function of screening and selecting products, and making sure that medicines sold at Generika are manufactured by reputable manufacturers. While the company’s focus is on quality generic medicines, Generika Drugstore also offers select branded medicines, medical supplies, galenicals and consumer goods. An integral part of the company’s corporate mission is customer satisfaction. Serving the customers’ needs correctly and efficiently by trained store personnel and providing friendly and professional counseling to ensure that drugs are used in the safest and most effective way possible are fundamental components of Generika’s operation. Additional services such as free blood pressure monitoring and blood sugar testing (FBS/RBS) are being offered at Generika at a minimal cost.